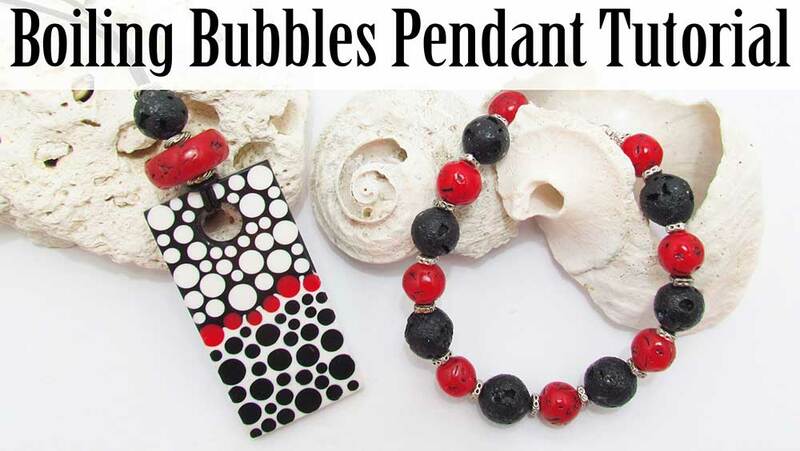 In this article we will explore the different brands and some of the fun polymer clay techniques you can use mica powders for. 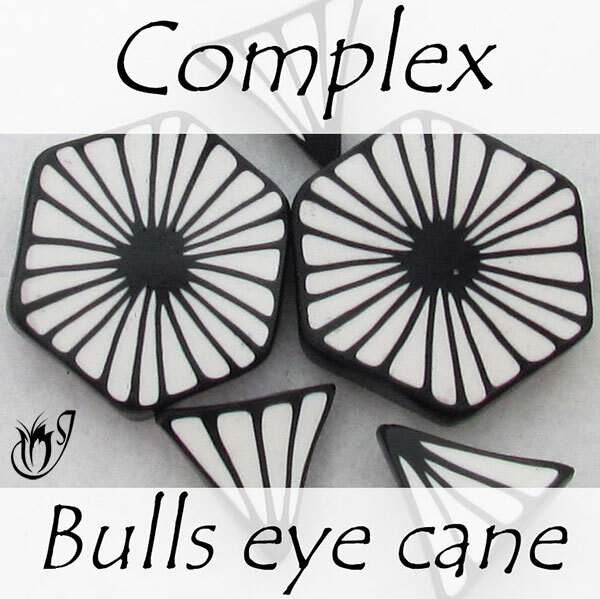 They are used extensively in the polymer clay community and a great addition to your polymer clay supplies. Whether it’s to bring out the pattern after using a texture sheet or to help create faux sheets, micas pair perfectly with polymer clay. Micas are derived from a rock that’s naturally flaky. The rock generally has a green or blue hue before it is ground up. It’s then dyed and that’s how you get your powder. The mica particles are tiny disks with the edge of the disk being darker than the flat side. This is crucial to know if you’re planning to do a mica shift. 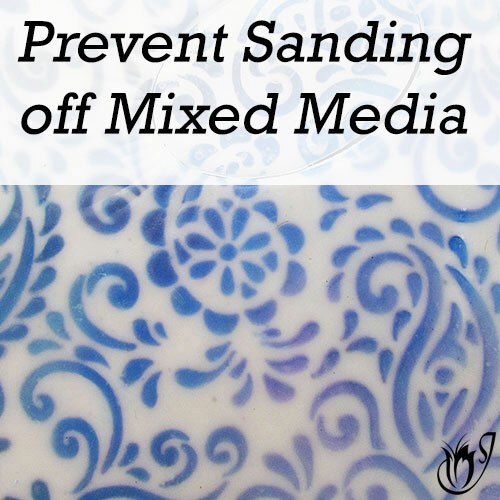 Learn more about the make-up of mica clay in my Mica Clay Unwrapped article. You need very little to create most effects so a small pot goes a really long way and they're easy to get hold of. So let's find out what you can use them for. You can brush them onto your clay to give a shiny appearance. You can brush them across a textured sheet of polymer clay to reveal the pattern. You can use them as a release agent when using texture sheets. 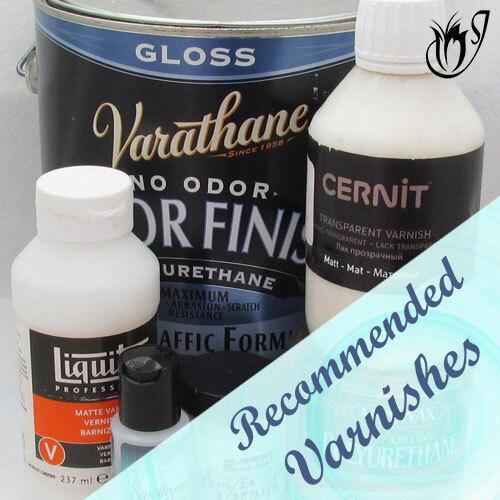 They can be used to increase the shine in products like alcohol inks and gilders paste. You can add them to water and spray onto a sheet of polymer clay as shown below. You can even mix them into your clay to make some really cool effects from faux polymer clay shell to galaxy effects. The sheet in the back is done using mica powder and water in a spray bottle. The faux labradorite beads (left) have had mica powders added to them. 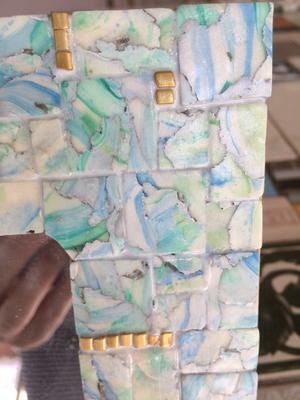 The faux abalone beads (right) have eye shadow mixed into the layers. So now you know what you can do with micas, let's talk about the most commonly available brands. Perfect Pearls is a sparkly pigment that has been specifically developed for polymer clay and other mixed media. It costs around 4 US dollars or so for a 2.75 gram container. It’s not cheap but it does come in some wonderfully vibrant colors and remember, for most polymer clay techniques it goes a long way. Pearl Ex is another very shiny pigment that’s typically used with polymer clay and other mixed media. It’s a bit less expensive at around 3 US dollars or so for 3 grams. It is most readily available in 3 gram containers, but you can get it in larger 14 gram containers too. The larger pots work out a bit cheaper per gram so they are a good way to buy your favorite colors. It also comes in sets of twelve 3 gram pots at quite a discount per pot. These powders are a bit more muted than Perfect Pearls or Pearl Ex, and they come in a smaller color range. But, and it's a pretty big but, they are substantially less expensive. They are available in 1 or 2oz jars. Depending on the color, most of them can be bought for under $15 for 2oz. That's a huge saving on the two brand names above. 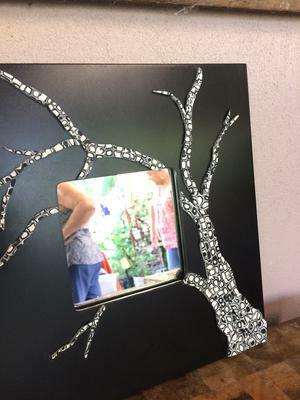 They are not as readily available as Perfect Pearls or Pearl Ex, but Misterart.com stocks quite a few, as does Firemountaingems.com. If you're outside the USA try Amazon.com. They stock a fair range. Eye shadows are a good alternative to Perfect Pearls or Pearl Ex Pigments and substantially cheaper. 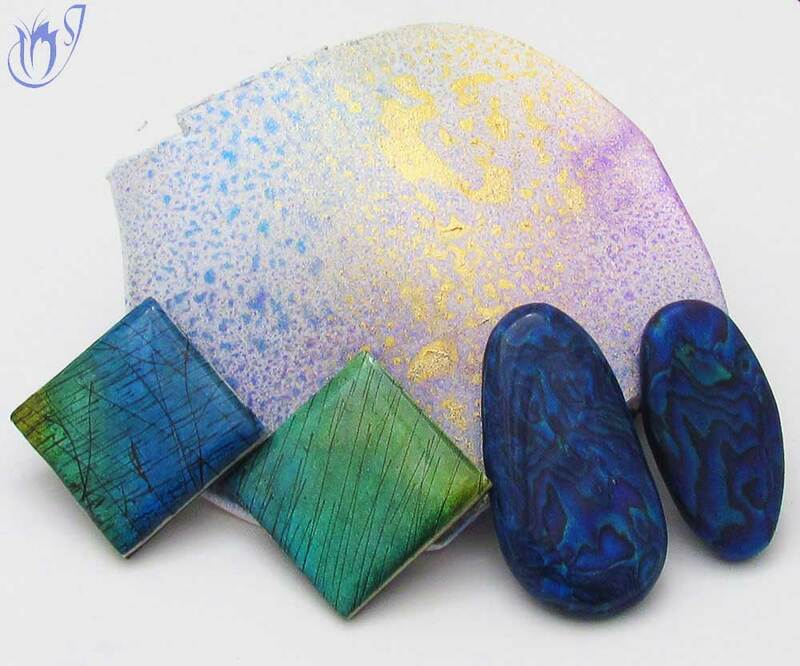 They are great to have if you want a lot of colors at a low cost, or if you use micas for faux polymer clay techniques which tend to use up a lot of powder. On the downside, eye shadows contain chalky earth pigments, as well as the micas. This means that they aren't as bright and sparkly as Perfect Pearls or Pearl Ex Pigments and will come out a bit more muted. Which mica powder should I buy? I buy all the colors I can find from the Neuberg range and then use either Pearl Ex Pigments or Perfect Pearls to top up my colors. I create a lot of faux effects, so I like to mix the powders into translucent polymer clay to produce my faux effects, and I find that the large Neuberg pots are better value. If you want to just use the powders to brush onto textures and charms, and you don't plan to use a lot, Pearl Ex Pigments or Perfect Pearls will work just fine and they will be the easiest to get hold of. They’re very similar to each other and vary in price based on where you live, so when you go out to buy them, go for the one that’s the cheapest. Remember to look online too. 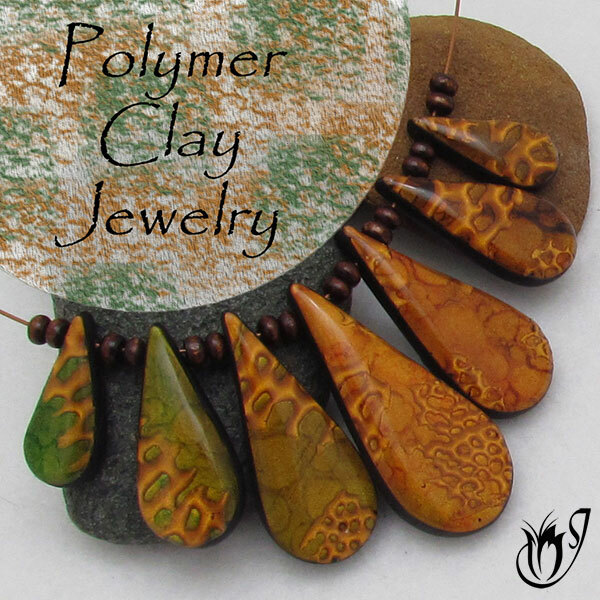 See my Polymer Clay Suppliers page for a list of reputable stockists. This is one of my favorite techniques using mica powders. It's done using real leaves. 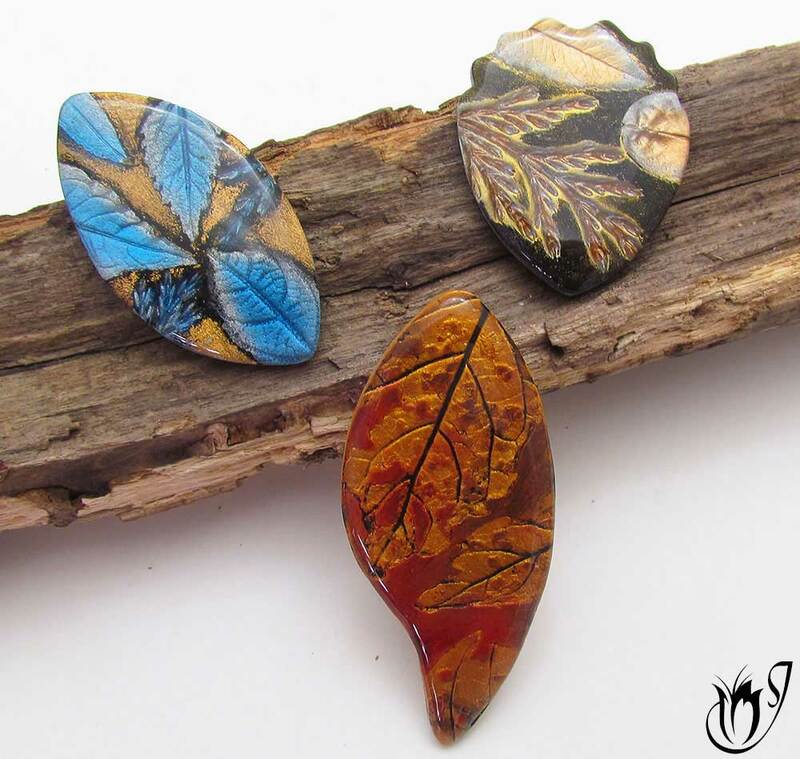 Micas are a fun and easy way to add splashes of color and pizzazz to your polymer clay designs. They're not cheap, but they go a really long way and they're readily available. 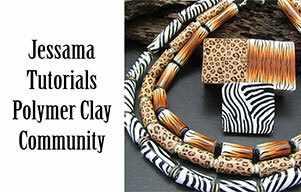 Add some to your polymer clay supplies today and open up a whole new world of polymer clay fun. 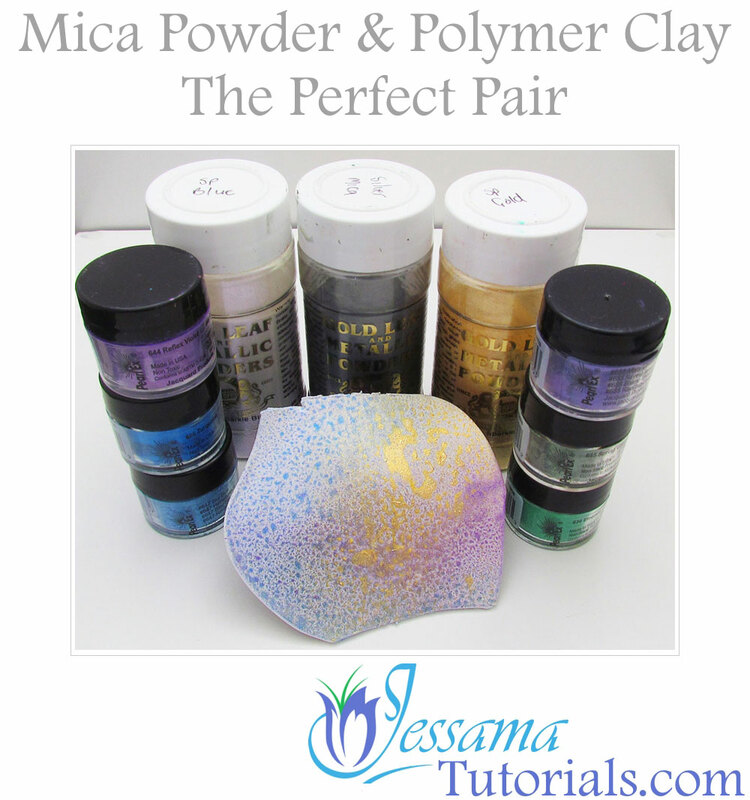 Do you have some great ideas for using mica powder with polymer clay? Let me know in the comments below and as always, please like and share with your friends.